The following sports are the ones that attract the most sports bettors in Canada. 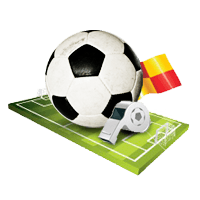 There are of course other sports we love and love to bet on, but these draw in the biggest crowd, and thus the biggest payouts. While Canadians have a passion for everything sports, we focus on the most popular sports in Canada. You know, the ones you watch religiously, argue over with friends and wager on the most. From the NHL and NFL to big-time UFC fights and international soccer tournaments, Canadians are much more than just hockey addicts. 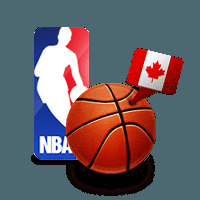 We cover all the most popular sports in Canada and the different ways Canadians bet on those sports. Sports run all years, giving Canadians the opportunity to bet on anything and everything. While most online sportsbooks offer lines on hundreds of different leagues and competitions, Canadians are drawn in most by the biggest North American leagues. Of course, even if you only focus on those leagues, the amount wagers available is nearly endless. Online sportsbooks offer daily moneylines, point spreads, game totals and props, in addition to futures betting lines on league champions, season totals and player awards. As Canada’s national pastime, millions of Canadians flock to arenas and their televisions to watch the NHL every season. 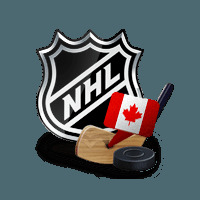 Online sportsbooks available in Canada understand the passion Canadians have for hockey and offer excellent betting lines on every NHL game, from the preseason to the Stanley Cup Finals. Moneylines are the most popular betting option on the NHL, with game totals, puck lines and props shoring up the rear. For the Canadian bettor with long-term aspirations, NHL futures on the Stanley Cup Winner, Division champions and player award are available. Even though Canada only has the Toronto Raptors, the star-driven nature of the NBA and its perceptive marketing department ensure Canadians get a healthy dose of the NBA from October to June. Online sportsbooks offer plenty of action on the NBA, giving Canadians the ability to bet on moneylines, point spreads, game totals and props, along with NBA futures and even specialty bets on the All-Star game. NBA player props on online sportsbooks are some of the best in the business. Great odds are available on whether players will accomplish a specific feat (such as will LeBron James record a triple-double) or over/under lines on their game totals. As the NBA is the most star-driven league in North America, props on players will continue to have a place in NBA betting circles. 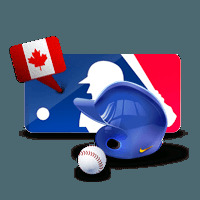 No sport in North America has as many games as Major League Baseball. Throughout the summer, Canadians have up 15 games to watch and wager every day, with the Toronto Blue Jays drawing lots of action. Of course, once October hits online sportsbook up the ante, offering even more lines and odds on the MLB playoffs. MLB World Series futures are a great betting option on the MLB. From Spring Training to the Trade Deadline and the start of the playoffs, no matter the season in Canada, Canadians have a chance to wager on the next World Series winner. Canada’s very own football league keeps Canadians busy from June until the Grey Cup in November. The small nature of the CFL leads to every time playing multiple times in a season (which is unique to the CFL), meaning Canadians can place wagers with more recent data compared to any other football league. All the most popular betting options are available on the CFL, including point spreads, moneylines, game totals and futures on the Grey Cup winner. 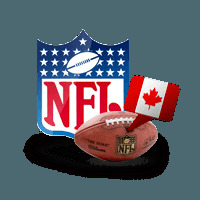 Even if Canada does not have its own team, that does not stop millions of Canadians from watching and betting on the NFL every season. The scale and scope of the league draws in people from all across Canada, while the one game per week makes placing well—researched wagers easier. Point spreads are king in the NFL but moneylines, game totals and player props draw plenty of action every week. Also, make sure to check out awesome Super Bowl prop bets, available online only on the best sportsbooks serving Canada. From all of the top leagues in Europe to the MLS and the World Cup, soccer brings together Canadians from all over to enjoy the world’s most popular sport. As the only sport to have games consistently end in a draw, moneylines on soccer have a bit extra juice when picking the right favourite or underdog to win. Also, make sure to check out lines and odds on the biggest tournaments. From the World Cup, Euro Cup and everything CONCACAF, international soccer tournaments always draw in big crowds, even if Canada is absent or a big underdog. When the card is right, few events in Canada draw the hype and crowd of a great UFC or boxing pay-per-view. While the majority of Canadians focus their bets on picking an outright winner, online sportsbooks offer plenty of prop bets. The most popular include totals on rounds the fight will last, props on the method of victory and combination wagers (with the winner, round and method of victory all on one bet).